Anapana sati, the meditation on in-and-out breathing, is the first subject of meditation expounded by the Buddha in the Maha-satipatthana Sutta, the Great Discourse on the Foundations of Mindfulness. The Buddha laid special stress on this meditation, for it is the gateway to enlightenment and Nibbana adopted by all the Buddhas of the past as the very basis for their attainment of Buddhahood. When the Blessed One sat at the foot of the Bodhi Tree and resolved not to rise until he had reached enlightenment, he took up anapana sati as his subject of meditation. On the basis of this, he attained the four jhanas, recollected his previous lives, fathomed the nature of samsara, aroused the succession of great insight knowledges, and at dawn, while 100,000 world systems trembled, he attained the limitless wisdom of a Fully Enlightened Buddha. Let us then offer our veneration to the Blessed One, who became a peerless world-transcending Buddha through this meditation of anapana sati. May we comprehend this subject of meditation fully, with wisdom resplendent like the sun and moon. 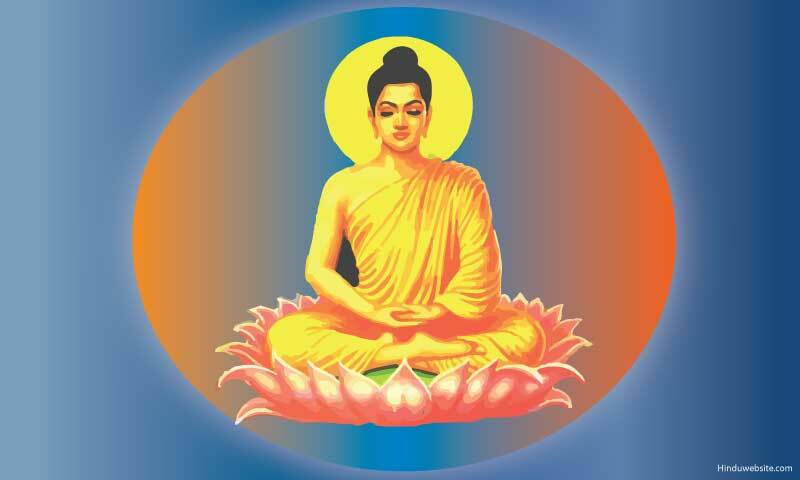 Through its power may we attain the blissful peace of Nibbana. "Herein, monks, a monk who has gone to the forest, or to the foot of a tree, or to an empty place, sits down cross legged, holding his back erect, arousing mindfulness in front of him." This means that any person belonging to the four types of individuals mentioned in this teaching — namely, bhikkhu (monk), bhikkhuni (nun), upasaka (layman) or upasika (laywoman) — desirous of practicing this meditation, should go either to a forest, to the foot of a secluded tree, or to a solitary dwelling. There he should sit down cross-legged, and keeping his body in an erect position, fix his mindfulness at the tip of his nose, the locus for his object of meditation. If he breathes in a long breath, he should comprehend this with full awareness. If he breathes out a long breath, he should comprehend this with full awareness. If he breathes in a short breath, he should comprehend this with full awareness. if he breathes out a short breath, he should comprehend this with full awareness. "He breathes in experiencing the whole body, he breathes out experiencing the whole body": that is, with well-placed mindfulness, he sees the beginning, the middle and the end of the two phases, the in-breath and the out-breath. As he practices watching the in-breath and the out breath with mindfulness, he calms down and tranquilizes the two functions of in breathing and out-breathing. He then realizes that this body which exercises the two functions of in-breathing and out-breathing is only a body, not an ego or "I." This mindfulness and wisdom become helpful in developing greater and more profound mindfulness and wisdom, enabling him to discard the erroneous conceptions of things in terms of "I" and "mine." He then becomes skilled in living with wisdom in respect of this body and he does not grasp anything in the world with craving, conceit or false views. Living unattached, the meditator treads the path to Nibbana by contemplating the nature of the body. This is an amplified paraphrase of the passage from the Maha-satipatthana Sutta on anapana sati. This meditation has been explained in sixteen different ways in various suttas. Of these sixteen, the first tetrad has been explained here. But these four are the foundation for all the sixteen ways in which anapana sati can be practiced. Now we should investigate the preliminary stages to practicing this meditation. In the first place the Buddha indicated a suitable dwelling for practicing anapana sati. In the sutta he has mentioned three places: the forest, the foot of a tree, or an isolated empty place. This last can be a quiet restful hut, or a dwelling place free from the presence of people. We may even consider a meditation hall an empty place. Although there may be a large collection of people in such a hall, if every one remains calm and silent it can be considered an empty place. The Buddha recommended such places because in order to practice anapana sati, silence is an essential factor. A beginning meditator will find it easier to develop mental concentration with anapana sati only if there is silence. Even if one cannot find complete silence, one should choose a quiet place where one will enjoy privacy. Next the Buddha explained the sitting posture. There are four postures which can be adopted for meditation: standing, sitting, reclining and walking. Of these the most suitable posture to practice anapana sati at the beginning is the seated posture. The person wishing to practice anapana sati should sit down cross-legged. For bhikkhus and laymen, the Buddha has recommended the cross-legged Position. This is not an easy posture for everyone, but it can be gradually mastered. The half cross-legged position has been recommended for bhikkhunis and laywomen. This is the posture of sitting with one leg bent. It would be greatly beneficial if the cross legged posture recommended for bhikkhus and laymen could be adopted in the "lotus" pattern, with the feet turned up and resting on the opposite thighs. If that is inconvenient, one should sit with the two feet tucked underneath the body. In the practice of anapana sati, it is imperative to hold the body upright. The torso should be kept erect, though not strained and rigid. One can cultivate this meditation properly only if all the bones of the spine are linked together in an erect position. Therefore, this advice of the Buddha to keep the upper part of the body erect should be clearly comprehended and followed. The next factor is the place for fixing the attention. To cultivate anapana sati one should be clearly mindful of the place where the incoming and outgoing breaths enter and leave the nostrils. This will be felt as a spot beneath the nostrils or on the upper lip, wherever the impact of the air coming in and out the nostrils can be felt most distinctly. On that spot the attention should be fixed, like a sentry watching a gate. Then the Buddha has explained the manner in which anapana sati has to be cultivated. One breathes in mindfully, breathes out mindfully. From birth to death this function of in-breathing and out-breathing continues without a break, without a stop, but since we do not consciously reflect on it, we do not even realize the presence of this breath. If we do so, we can derive much benefit by way of calm and insight. Thus the Buddha has advised us to be aware of the function of breathing. The practitioner of meditation who consciously watches the breath in this manner should never try to control his breathing or hold back his breath with effort. For if he controls his breath or holds back his breath with conscious effort, he will become fatigued and his mental concentration will be disturbed and broken. The key to the practice is to set up mindfulness naturally at the spot where the in-breaths and the out-breaths are felt entering and leaving the nostrils. Then the meditator has to maintain his awareness of the touch sensation of the breath, keeping the awareness as steady and consistent as possible. To help practitioners in developing this meditation, the commentators and meditation masters have indicated eight graduated steps in the practice. These eight steps will first be enumerated, and then they will be explained in relation to the actual meditative process. The eight steps are named: counting (ganana); following (anubandhana); contact (phusana); fixing (thapana); observing (sallakkhana); turning away (vivattana), purification (parisuddhi); and retrospection (patipassana). These eight cover the whole course of meditative development up to the attainment of arahantship. Counting is intended for those who have never before practiced anapana sati. It is not necessary for those who have practiced meditation for a considerable period of time. However, as it is expedient to have a knowledge of this, counting should be understood in the following manner. When the meditator sits down for meditation, he fixes his attention at the tip of his nose and consciously attends to the sequence of in-and-out breathing. He notes the breath as it enters, and notes the breath as it leaves, touching against the tip of the nose or the upper lip. At this time he begins to count these movements. There are a few methods of counting. The easiest is explained thus: The first breath felt is counted as "one, one"; the second as "two, two"; the third as "three, three"; the fourth as "four, four"; the fifth as "five, five" and so on up to the tenth breath which is counted as "ten, ten." Then he returns to "one, one" and continues again up to "ten, ten." This is repeated over and over from one to ten. The mere counting is not itself meditation, but the counting has become an essential aid to meditation. A person who has not practiced meditation before, finding it difficult to understand the nature of his mind, may think he is meditating while his mind runs helter skelter. Counting is an easy method to control the wandering mind. If a person fixes his mind well on his meditation, he can maintain this counting correctly. If the mind flees in all directions, and he misses the count, he becomes confused and thus can realize that his mind has wandered about. If the mind has lost track of the count, the meditator should begin the counting over again. In this way he should start the counting again from the beginning, even if he has gone wrong a thousand times. As the practice develops, there may come a time when the in-breathing and out breathing take a shorter course and it is not possible to count the same number many times. Then the meditator has to count quickly "one," "two," "three," etc. When he counts in this manner he can comprehend the difference between a long in-breath and out-breath and a short in-breath and out-breath. "When the meditator breathes in a long breath, he comprehends that he is breathing in a long breath; and when he is breathing out a long breath, he comprehends that he is breathing out a long breath." Herein, one does not deliberately take a long in-breath or a long out-breath. One simply comprehends what actually takes place. The Buddha has declared in the next passage that a meditator trains himself thinking: "I shall breathe in experiencing the whole body, and I shall breath out experiencing the whole body." Here, what is meant as "the whole body" is the entire cycle of breathing in and breathing out. The meditator should fix his attention so as to see the beginning, the middle and the end of each cycle of in-breathing and out-breathing. It is this practice that is called "experiencing the whole body." The beginning, middle and end of the breath must be correctly understood. It is incorrect to consider the tip of the nose to be the beginning of the breath, the chest to be the middle, and the navel to be the end. If one attempts to trace the breath from the nose through the chest to the belly, or to follow it out from the belly through the chest to the nose, one's concentration will be disrupted and one's mind will become agitated. The beginning of the in-breath, properly understood, is the start of the inhalation, the middle is continued inhalation, and the end is the completion of the inhalation. Likewise, in regard to the out breath, the beginning is the start of the exhalation, the middle is the continued exhalation, and the end is the completion of the exhalation. To "experience the whole body" means to be aware of the entire cycle of each inhalation and exhalation, keeping the mind fixed at the spot around the nostrils or on the upper lip where the breath is felt entering and leaving the nose. This work of contemplating the breath at the area around the nostrils, without following it inside and outside the body, is illustrated by the commentaries with the similes of the gatekeeper and the saw. Just as a gatekeeper examines each person entering and leaving the city only as he passes through the gate, without following him inside or outside the city, so the meditator should be aware of each breath only as it passes through the nostrils, without following it inside or outside the body. Just as a man sawing a log will keep his attention fixed on the spot where the teeth of the saw cut through the wood, without following the movement of the teeth back and forth, so the meditator should contemplate the breath as it swings back and forth around the nostrils, without letting his mindfulness be distracted by the breath's inward and outward passage through the body. When a person meditates earnestly in this manner, seeing the entire process, a joyous thrill pervades his mind. And since the mind does not wander about, the whole body becomes calm and composed, cool and comfortable. These two aspects of the practice indicate the development of stronger concentration. When the mindfulness of breathing is maintained, the breathing becomes more and more subtle and tranquil. As a result the body becomes calm and ceases to feel fatigued. Bodily pain and numbness disappear, and the body begins to feel an exhilarating comfort, as if it were being fanned with a cool gentle breeze. At that time, because of the tranquillity of the mind, the breathing becomes finer and finer until it seems that it has ceased. At times this condition lasts for many minutes. This is when breathing ceases to be felt. At this time some be come alarmed thinking the breathing has ceased, but it is not so. The breathing exists but in a very delicate and subtle form. No matter how subtle the breathing becomes, one must still keep mindful of the contact (phusana) of the breath in the area of the nostrils, without losing track of it. The mind then becomes free from the five hindrances — sensual desire, anger, drowsiness, restlessness and doubt. As a result one becomes calm and joyful. It is at this stage that the "signs" or mental images appear heralding the success of concentration. First comes the learning sign (uggaha-nimitta), then the counterpart sign (patibhaga-nimitta). To some the sign appears like a wad of cotton, like an electric light, a sliver chain, a mist or a wheel. It appeared to the Buddha like the clear and bright midday sun. The learning sign is unsteady, it moves here and there, up and down. But the counterpart sign appearing at the end of the nostrils is steady, fixed and motionless. At this time there are no hindrances, the mind is most active and extremely tranquil. This stage is expounded by the Buddha when he states that one breathes in tranquilizing the activity of the body, one breathes out tranquilizing the activity of the body. The arising of the counterpart sign and the suppression of the five hindrances marks the attainment of access concentration (upacara-samadhi). As concentration is further developed, the meditator attains full absorption (appana-samadhi) beginning with the first jhana. Four stages of absorption can be attained by the practice of anapana sati, namely, the first, second, third and fourth jhanas. These stages of deep concentration are called "fixing" (thapana). A person who has reached jhana should not stop there but should go on to develop insight meditation (vipassana). The stages of insight are called "observing" (sallakkhana). When insight reaches its climax, the meditator attains the supramundane paths, starting with the stage of stream-entry. Because these paths turn away the fetters that bind one to the cycle of birth and death, they are called "turning away" (vivattana). The paths are followed by their respective fruitions; this stage is called "purification" (parisuddhi) because one has been cleansed of defilements. Thereafter one realizes the final stage, reviewing knowledge, called retrospection (patipassana) because one looks back upon one's entire path of progress and one's attainments. This is a brief overview of the main stages along the path to Nibbana, based on the meditation of anapana sati. Now let us examine the course of practice in terms of the seven stages of purification. The person who has taken up the practice begins by establishing himself in a fitting moral code. If he is a layman, he first establishes himself in the five precepts or the ten precepts. If he is a bhikkhu, he begins his meditation while scrupulously maintaining the moral code prescribed for him. The unbroken observance of his respective moral code constitutes purification of morality (sila-visuddhi). Next, he applies himself to his topic of meditation, and as a result, the hindrances become subjugated and the mind becomes fixed in concentration. This is purification of mind (citta-visuddhi) — the mind in which the hindrances have been fully suppressed — and this includes both access concentration and the four jhanas. When the meditator becomes well established in concentration, he next turns his attention to insight meditation. To develop insight on the basis of anapana sati, the meditator first considers that this process of in-and-out breathing is only form, a series of bodily events — not a self or ego. The mental factors that contemplate the breathing are in turn only mind, a series of mental events — not a self or ego. This discrimination of mind and matter (nama-rupa) is called purification of view (ditthi-visuddhi). One who has reached this stage comprehends the process of in-and-out breathing by way of the conditions for the arising and cessation of the bodily and mental phenomena involved in the process of breathing. This knowledge, which becomes extended to all bodily and mental phenomena in terms of their dependent arising, is called the comprehension of conditions. As his understanding matures, all doubts conceived by him in respect of past, future and present times are dispelled. Thus this stage is called "purification by the transcending of doubt." After having, understood the causal relations of mind and matter, the meditator proceeds further with insight meditation, and in time there arises the wisdom "seeing the rise and fall of things." When he breathes in and out, he sees the bodily and mental states pass in and out of existence moment after moment. As this wisdom becomes clearer, the mind becomes illumined and happiness and tranquillity arise, along with faith, vigor, mindfulness, wisdom and equanimity. When these factors appear, he reflects on them, observing their three characteristics of impermanence, suffering and egolessness. The wisdom that distinguishes between the exhilarating results of the practice and the task of detached contemplation is called "purification by knowledge and vision of the true path and the false path." His mind, so purified, sees very clearly the rise and cessation of mind and matter. He sees next, with each in-breath and out-breath, the breaking up of the concomitant mental and bodily phenomena, which appears just like the bursting of the bubbles seen in a pot of boiling rice, or like the breaking up of bubbles when rain falls on a pool of water, or like the cracking of sesamum or mustard seeds as they are put into a red-hot pan. This wisdom which sees the constant and instantaneous breaking up of mental and bodily phenomena is called "the knowledge of dissolution." Through this wisdom he acquires the ability to see how all factors of mind and body throughout the world arise and disappear. Then there arises in him the wisdom that sees all of these phenomena as a fearsome spectacle. He sees that in none of the spheres of existence, not even in the heavenly planes, is there any genuine pleasure or happiness, and he comprehends misfortune and danger. Then he conceives a revulsion towards all conditioned existence. He arouses an urge to free himself from the world, an all consuming desire for deliverance. Then, by considering the means of releasing himself, there arises in him a state of wisdom which quickly reflects on impermanence, suffering and egolessness, and leads to subtle and deep levels of insight. Now there appears in him the comprehension that the aggregates of mind and body appearing in all the world systems are afflicted by suffering, and he realizes that the state of Nibbana, which transcends the world, is exceedingly peaceful and comforting. When he comprehends this situation, his mind attains the knowledge of equanimity about formations. This is the climax of insight meditation, called "purification by knowledge and vision of progress." As he becomes steadfast, his dexterity in meditation increases, and when his faculties are fully mature he enters upon the cognitive process of the path of stream-entry (sotapatti). With the path of stream-entry he realizes Nibbana and comprehends directly the Four Noble Truths. The path is followed by two or three moments of the fruit of stream-entry, by which he enjoys the fruits of his attainment. Thereafter there arises reviewing knowledge by which he reflects on his progress and attainment. If one continues with the meditation with earnest aspiration, one will develop anew the stages of insight knowledge and realize the three higher paths and fruits: those of the once-returner, nonreturner, and arahant. These attainments, together with stream-entry, form the seventh stage of purity, purification by knowledge and vision. With each of these attainments one realizes in full the Four Noble Truths, which had eluded one throughout one's long sojourn in the cycle of rebirths. As a result, all the defilements contained within the mind are uprooted and destroyed, and one's mind becomes fully pure and cleansed. One then realizes the state of Nibbana, wherein one is liberated from all the suffering of birth, aging and death, sorrow, lamentation, pain, grief and despair. Births like ours are rare in samsara. We have been fortunate to encounter the Buddha's message, to enjoy the association of good friends, to have the opportunity to listen to the Dhamma. As we have been endowed with all these blessings, if our aspirations are ripe, we can in this very life reach the final goal of Nibbana through its graduated stages of stream-entry, once-returner, nonreturner and arahantship. Therefore, let us make our life fruitful by developing regularly the meditation of anapana sati. Having received proper instructions on how to practice this method of meditation, one should purify one's moral virtue by observing the precepts and should surrender one's life to the Triple Gem. One should choose a convenient time for meditation and practice with utmost regularity, reserving the same period each day for one's practice. One may begin by briefly reflecting on the abundant virtues of the Buddha, extending loving-kindness towards all beings, pondering the repulsiveness of the body, and considering the inevitability of death. Then, arousing the confidence that one is walking the very road to Nibbana walked by all the enlightened ones of the past, one should proceed forth on the path of meditation and strive with diligent effort. Source: Copyright © 1988 Gunawardana Yogashrama Charitable Trust. Reproduced and reformatted from Access to Insight edition © 1994 For free distribution. This work may be republished, reformatted, reprinted, and redistributed in any medium. It is the author's wish, however, that any such republication and redistribution be made available to the public on a free and unrestricted basis and that translations and other derivative works be clearly marked as such.